1. Document the East Coast manifestation of this industry as an overlooked part of the rural American Experience; and 2. Analyze the changing relationship of this rural community in a constantly changing global economy. This abalone shell is a waste product of shell button making. The closely cut holes visible on the interior and exterior of the shell reveal how skilled the cutter was in getting the largest number of blanks from a shell. Because the shell is thick, the cutter would have to split the plugs into thinner blanks. Shellfishermen in the South Pacific harvested abalone and shipped it from Australia. Shell crates labeled Australia and New York were found at the Paricek shop. Beginning in the 1920s, shell button manufacturers established small factories in and around towns in rural Delmarva. They imported yellow sand shell (Lampsilis teres) from the upper Mississippi Valley and abalone (Haliotis asinina) from Australia, by way of New York City. In shops ranging from lone machines in farm sheds to large factories designed for the purpose, men cut circular blanks from these shells and women polished and sorted the blanks which were shipped to factories in New Jersey, New York, and Connecticut for finishing. The Paricek (pronounced par-a-check) factory south of Milford, Delaware, exemplifies a medium-sized shop with 14 cutting stations. 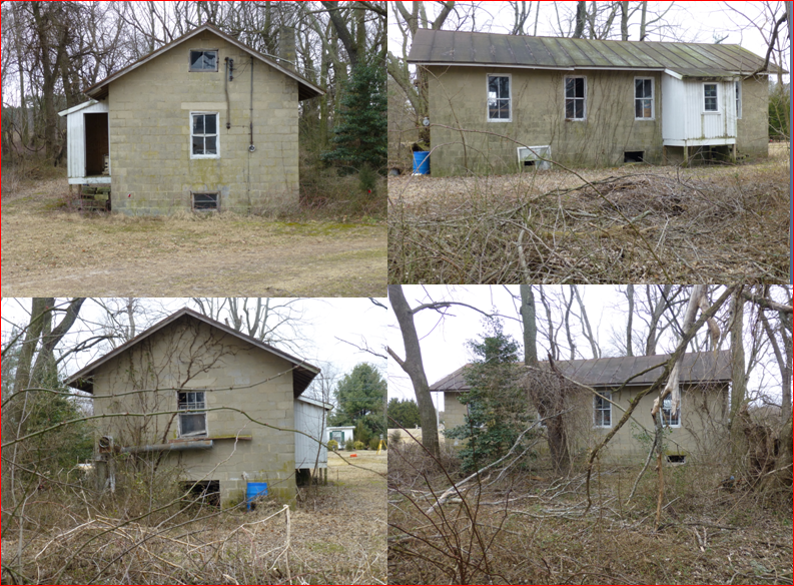 It was abandoned and remains intact, including finished blanks, lathes, a vacuum system for removing shell dust from each station, cutting bits, and uncut shells. Two waste piles in the rear yard of the shop contain yellow sand shells and abalone, each species confined to one of the piles. Oral testimony collected by Citizen Scientist Bailey E. Berry and filmed by local videographer Jeanne Greenhaugh from local residents provides information on the sounds and smells of the work, the role of button-cutting in their lives while it was an active industry and after the practice ended, and Delmarva’s part in a constantly changing world economy. The Paricek shell button cutting factory is the size of a small house. Four views of the shop reveal a concrete block, one-story building with four windows on each of the long sides and one at each of the gable ends. Entry to the basement is by means of an exterior entrance. Cutters stored their shells and button blanks in individual lockers of wood and metal fencing. A Westinghouse electric motor drove the machines and vacuum system. 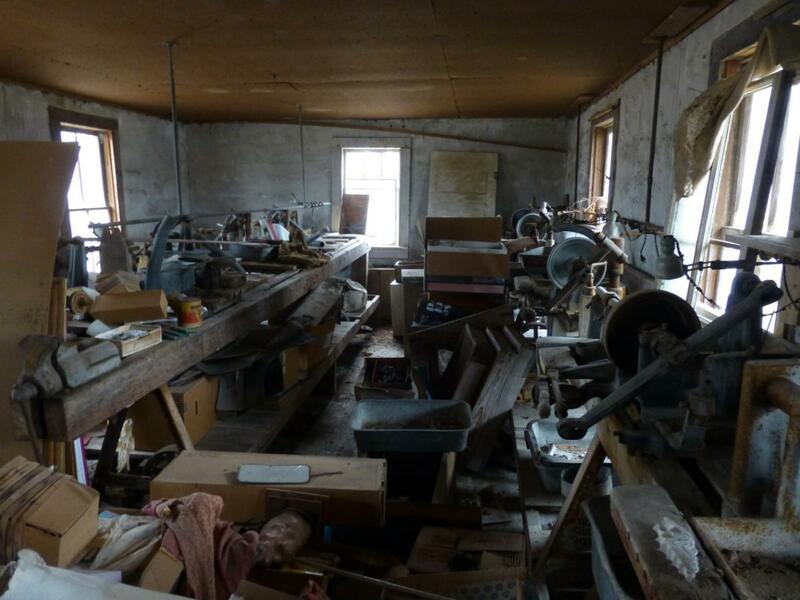 A recent owner of the derelict shop used the building for storage, but left all of the 14 work stations in place. The cutting machines are lathes using cylindrical cutting bits. The operator used a lever that advanced the rotating bit toward the shell which the operator held in his gloved hand. Some women cut shell button blanks, but men performed most of this work. Where did the shells come from? This yellow sandshell is a waste product of shell button making. The closely cut holes visible on the interior and exterior of the shell reveal how skilled the cutter was in getting the largest number of blanks from a shell. Because the shell is relatively thin, splitting wasn't necessary. These shells came from the Upper Midwest, the heartland of American shell-button making.